Preparations for the change of the vessel on Gothenburg-Frederikshavn are in full motion on the shipyard Öresundsvarvet in Landskrona. On Tuesday 4 September the flag and name of the former Færgen ferry was changed. 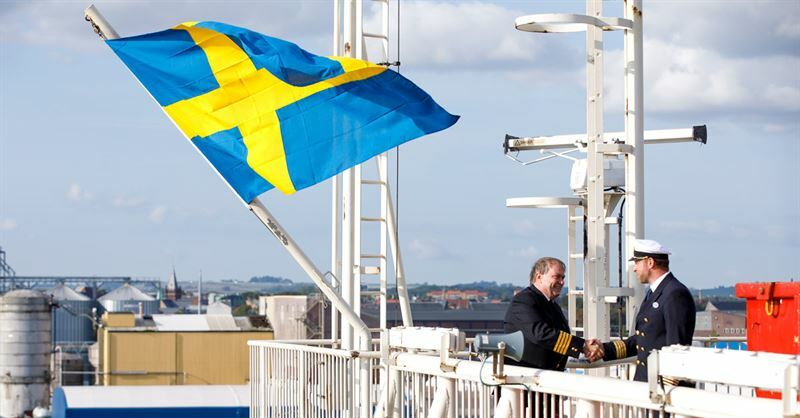 The flag was changed from Danish to Swedish and the name from HAMMERODDE to STENA VINGA. She is scheduled to go into operation mid-September.